So the Edge of Abyss campaign is upon us. Mantic's global campaign kicked off earlier this week. 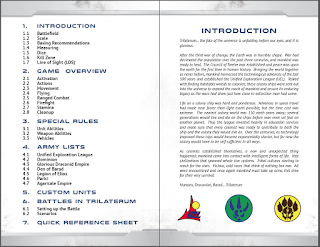 The Beast of War website is not up yet, but you can email results to and there is a tracking website at https://manticgames.wixsite.com/edgeoftheabyss. Last night I played a game in the Ardovikian Plains against an unseemly Orc Hoard. The great druid Laasala summoned forth an army of elementals to try to battle back the Orc forces trying to invade. We played the Loot scenario with 2000 points. Western flank with a juice regiment of Gore Cavalry. Orc battle lines moving up. The Skiffs scored a found on the beast of nature. Those air elementals are about to get squished. The Hunters of the wild take up the battle against the Gore Riders. That slasher has other plans so leaves them alone. Some Morax going after the beast. He died horribly. The slog of the century. thse little guys wavered the Gore Riders for a bunch of turns. Drummer and flagger charge the fire elementals. Horde is gone and the Druid was able to surge the Greater earth into the other slasher. Well that was fun. The second unit of Hunters side charged the Slasher and with them and the Greater Earth killed it. Fire and earth survived and were able to take out the drummer and the Morax regiment. Things are looking grim. Slasher took out the fire elemental. Last slasher moves on the Earth Elementals. Flagger grabbed the loot and ran. Greater Water Elemental took out the Gor riders and Hunters took out the Spitters. Hunters and water elemental regiment grabbed 2 loot counters. Score was Forces of Nature 2 Orcs 1. Great game. I had a ton of really lucky rolls as well as Al failed every headstrong roll he got from the scenario. Thanks Al for the great game! FORCES OF GOOD UNITE!!!! !